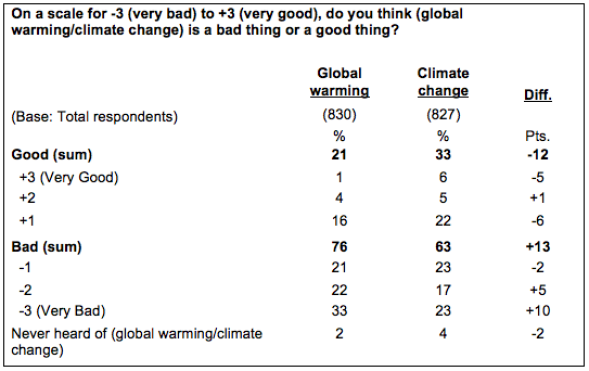 Study: "Global warming" is scarier than "climate change." In the deep depths of Slate’s comments sections on extreme weather and climate-related blog posts, there lives a fierce debate: Is it “global warming” or “climate change”? Many people use the terms interchangeably, but a new study suggests that one is more effective in conveying the urgency of the problem. In general, it’s more scientifically accurate to talk about the problem as “climate change.” That term (which dates back to 1956) was in use scientifically almost 20 years before “global warming” (1975). Global warming—the long-term rise in Earth’s average temperature, brought about by the increasing concentration of heat-trapping gases emitted by human activity—is a subset of climate change, which refers to a broader plethora of effects, like ocean acidification, rising sea levels, and crazier weather. Lumping all these phenomena into “global warming” risks vaulting global temperature to the status of ultimate arbiter on whether scientists’ assessments are accurate. Turns out, climate skeptics have caught on to this, with a (debunked) conspiracy floating around that for some reason, “they” recently changed the name from “global warming” to “climate change” to account for the slower rate of planetary-scale warming in recent years. Therefore, skeptics argue, we shouldn’t have to shift the world’s economy to phase out our primary energy sources. So, what matters more? Scientific accuracy, or word choice? Global warming and climate change are often not synonymous—they mean different things to different people—and activate different sets of beliefs, feelings, and behaviors, as well as different degrees of urgency about the need to respond. The study found that over the last 10 years, Americans were much more likely to use “global warming” as a search term (versus “climate change”) on Google. They’re also twice as likely to use it in conversation. It’s clear that global warming is a term we use more often. The authors of the survey caution that Americans are sometimes fickle in their connotations with political terms. 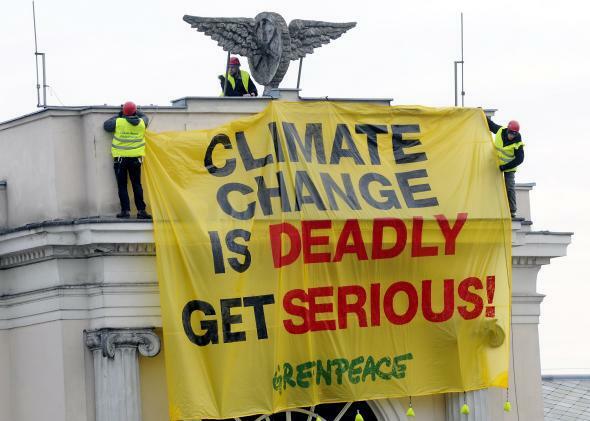 It could be that “climate change” will eventually overtake “global warming” as the preferred phrase for this issue, but for right now, it’s a clear signal. If you want to talk about the future of the planet, “global warming” is the term that resonates. Here’s a case where effective science communication seems more likely by using a term that’s less scientifically precise. In general, people seem to “get” the nuance, immediacy, and importance of this issue by just changing the words used to describe it. That’s enough to convince me to rethink my terminology.